Catfish CMS is an open source content management system developed with PHP. 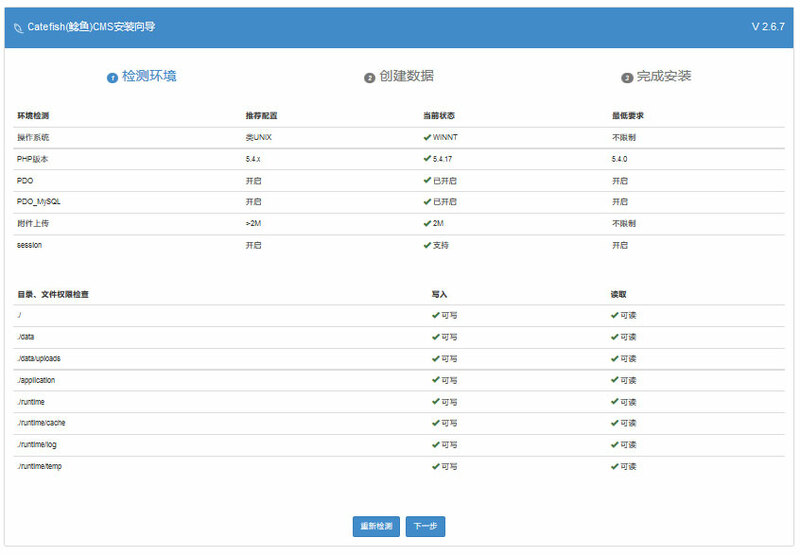 It has many excellent features, simple operation, easy to use theme and flexible application. It can be used in different types of websites, such as content management system, personal blog and corporate website. Such a good system to how to use it? 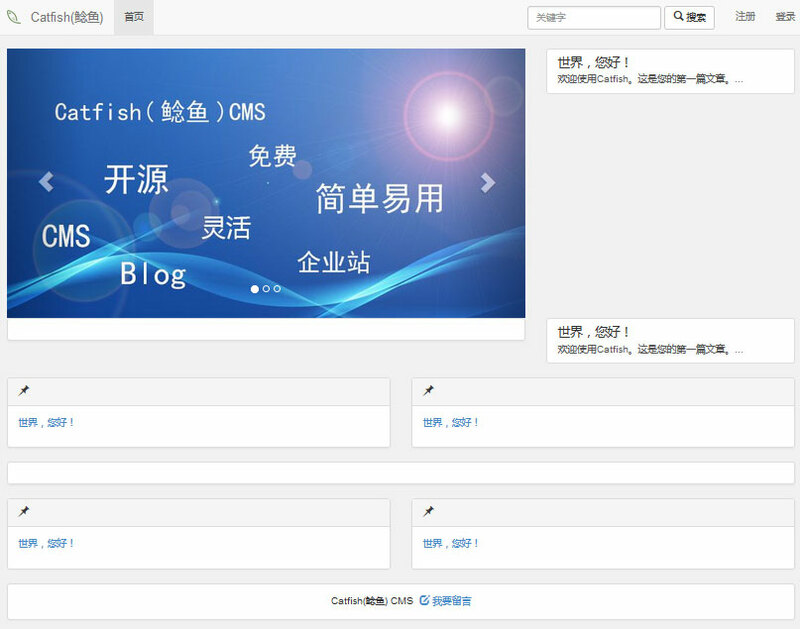 Let's start with our Catfish CMS installation. 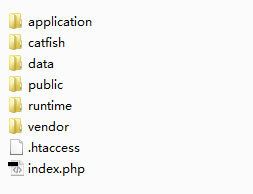 Visit Catfish CMS's official website (www.catfish-cms.com), and then in the top of the menu bar to find "download", with the mouse to click, enter and find the download link can be downloaded. Now you can extract all the files and folders to the root directory of your WEB environment. 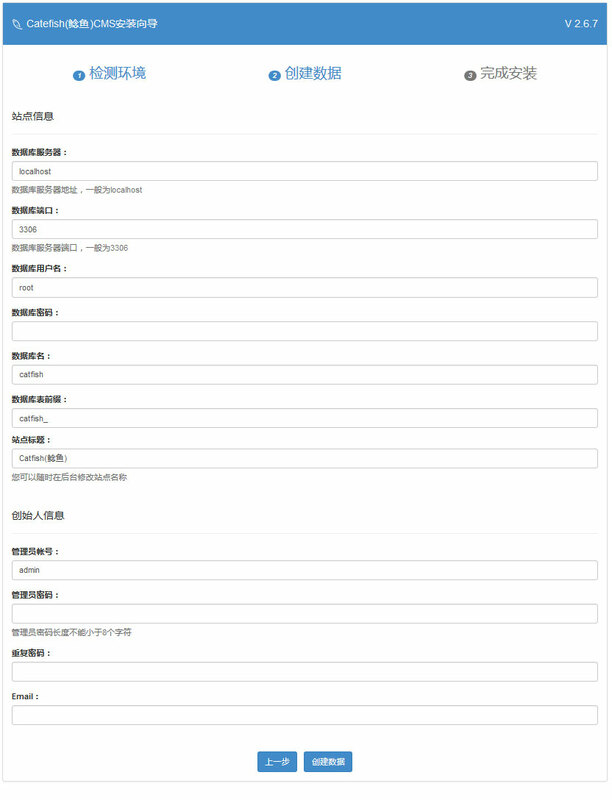 After copying all the files, you can open the browser, and then in the browser's address bar enter your domain name, the system will automatically enter the installation page. 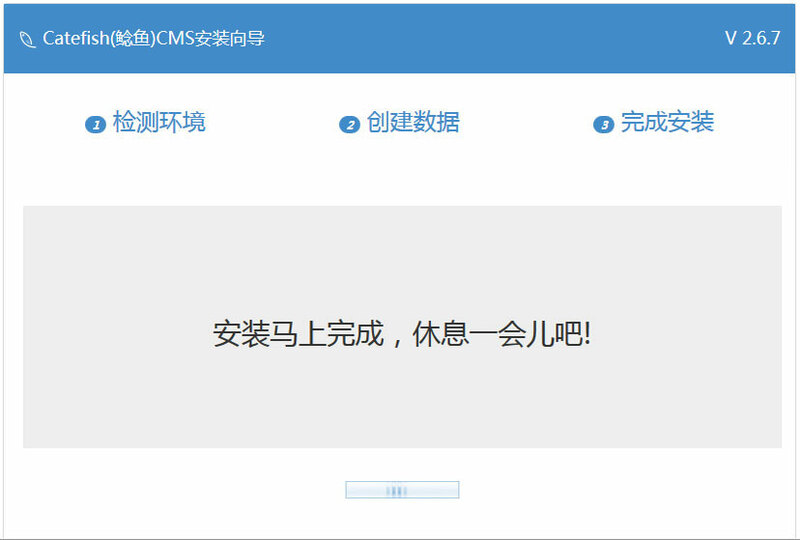 For example: the site domain name is www.catfish-cms.com, then as long as the browser address bar enter "www.catfish-cms.com" can begin to install the system. Remember to replace your domain name! This is a system usage protocol that you read carefully, and then press "Accept" to proceed to the next step. This is a running environment detection page. If you find out which item is not ticked, please re-set your WEB environment to meet the system requirements and re-install. If your web environment meets all the criteria, then you can click Next to continue. You will say, "Nothing! What should I do next?" Of course, you can always click on the top of the page menu "start using" to learn to use the system.